Freezing food can really make a difference in home organization. The option of freezing meals for every day of the week can help us avoid junk food, eat healthier and make more economical choices when shopping for food. If you are familiar with the benefits of freezing food, you also know that frozen food packaging in your freezer is useless without a proper label that tells you when the food has been frozen. It can also feature some other helpful information, such as: what is inside each food packaging, how many serving sizes are included, if it contains any food allergens, etc. We’ve created these helpful freezer label printables that you can easily download and print in as many copies as you need to make your food freezing experience enjoyable. 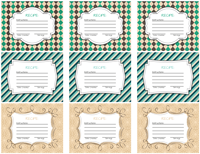 We’ll be adding printables on a frequent basis, so come back often for more label variety in your freezer. 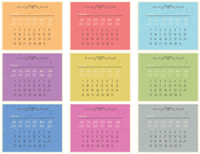 View and download frozen meal calendar. 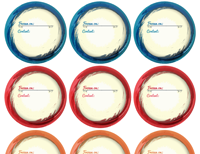 View and download recipe labels. View and download freezer tags. 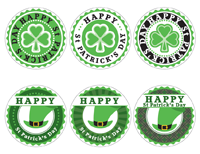 View and download special event stickers.